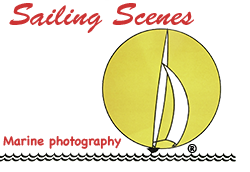 What’s the connection between a new motor yacht just arrived on a ship from the Med, and a fleet of 100 racing dinghies? We all move between a number of different worlds and, most of the time, that’s what they remain: different and entirely separate. But occasionally they come together in most unexpected ways. Last week we were on our way into Poole Harbour surrounded by a fleet of RS racing dinghies that we had been commissioned to photograph in the bay during their summer championships. 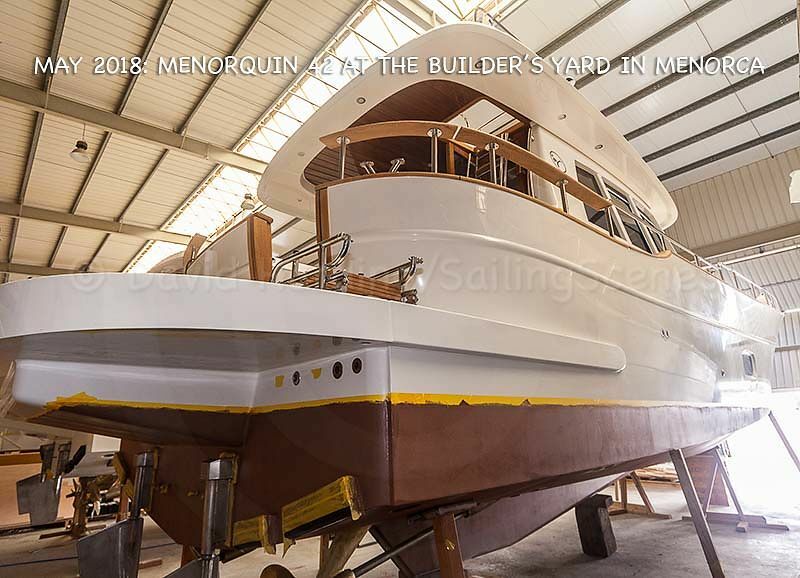 As we approached the harbour entrance, what should appear coming out but a Menorquin 42 motor yacht that we had last seen a few weeks earlier under construction at the builder’s yard in Menorca. 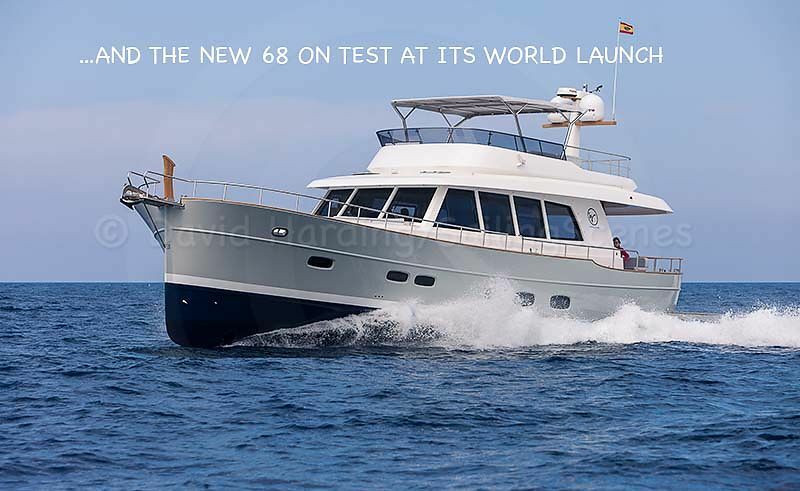 Wearing one of our other hats we had popped over there for a couple of days to test and photograph its brand new 68ft sister at its world launch, following our tests of the 34 and 42 last year. We knew the 42 was being shipped to the UK and that the dropping-off point on the south coast was to be Poole. It seems we might also have to accept some responsibility for the fact that the owners bought it in the first place, but that’s another story. 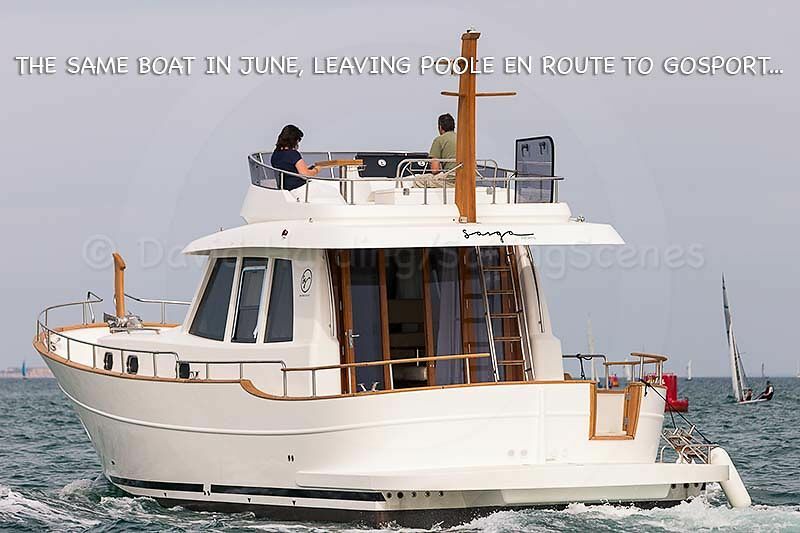 Anyway, the UK dealer (Sasga Yachts UK) then told us that it would be thrown (not literally) off the deck of the ship and into the water at around 17:00 on this particular Saturday, should we wish to hop aboard for the trip to the boat’s new home in Gosport. We couldn’t make it because of the RS event but we mentioned that, if the RSs had had a long day’s racing, the delivery skipper would have be careful coming out of the harbour because he might just find 100 dinghies on their way back in. And guess what? Menorquin met RS fleet in the busiest and narrowest part of the harbour entrance and out into the East Looe Channel. As you would hope and expect, the skipper was duly diligent and considerate, occasionally bringing the boat to a standstill as RSs passed all around. He turned out to be Dieter Peschkes of OceanTrax (yacht deliveries), who has more than enough experience to know exactly what he's doing. These two worlds came as close to each other as they could possibly get, yet each had no interest in the other except to avoid running into it. Sailing Scenes were in the middle, watching one go one way and one go the other, having a close involvement in both and wondering what the odds were of something like this ever happening.